The story of Titanic survivor Violet Jessop's short-lived marriage revealed for the first time. "In her late 30's she had "a brief and disastrous" marriage but the name of the husband has thus far eluded all researchers." SHE had turned 36 at the beginning of the month. Now, three weeks after that birthday, she was marrying at last – but in the distinctly unglamorous surroundings of Our Lady of Grace and St Edward in suburban London. 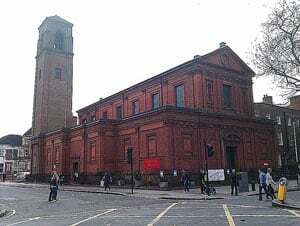 The Italianate church, on Chiswick High Road, was virtually empty for her big day and almost devoid of atmosphere. Who on earth would get married on a Monday? 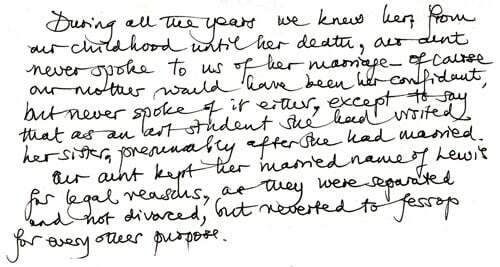 But Violet Constance Jessop did – on Monday October 29, 1923. The strange circumstances and lack of fanfare may have presaged what was to come – a hollow marriage, lacking fellowship and sympathy, and one ultimately bound for the rocks. Triple shipwreck survivor Violet broached that tide in the affairs of men and women with a fellow seafarer. John James Lewis described himself as a mariner in the merchant service, the son of a master mariner. But he may have been suggesting himself as more than he was – for this mariner, by the marriage certificate, was an uncertificated ship’s steward. Stewardess Violet, who might previously have cherished notions of marrying one of the well-to-do passengers that she served, eventually settled for someone of exactly the same occupational rank and social station. Her husband was fully ten years older. It is, on first glance, unusual that a man would be marrying for the first time at 46, but Lewis confidently asserted himself a bachelor. Whether he was in reality is open to question. The marriage certificate shows that the groom’s deceased father was also named James, and had been a ship’s captain. Other manifests of service show that John James Lewis was from Liverpool. Born on November 3, 1876 – in other words, shortly to turn 47 – he lived at a variety of addresses in Liverpool before moving to Southampton. It all ties up – and there are no similar Lewis families in Liverpool with the right names and occupations. Unfortunately there is a fly in the ointment: descendants alive today in Canada have identified this census entry as that of their forebear, John James Lewis. They say this John James, a ship’s steward, married a Lancashire lass in 1903, with the pair eventually emigrating to the Dominion – where John James would finally give up the sea and become a farmer. The family, whose forebear was married at 26 – twenty years before Violet Jessop jumped the broom – is not willing to believe that the census entry relates to the same man she married, 46-year-old John James Lewis, still a steward at sea. A picture of Violet’s husband, John James Lewis, although submitted to the Canadian family some months ago, has not been commented on. 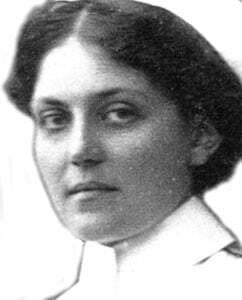 The possibility of Violet Jessop marrying a bigamist remains nothing more than that, at least for the moment. There may be an innocent mistake made that would absolve all concerned. Whatever ended the marriage of Violet Jessop and John James Lewis, the former stewardess of the Olympic, Titanic and Britannic did not confide in her family – and no hint or whisper of bigamy has ever been passed down. Her niece thinks it was ‘madness’ for her to get married if she was not sure, but perhaps it was an act of desperation for a woman whose chances of having children were fast diminishing. She never did become a mother and was alone with her chickens for many years in a country cottage before she died. It was a far cry from the exotic circumstances of her birth on the pampas of Argentina, where her Irish father emigrated to become a sheep farmer. He was followed by his fiancée, Catherine Kelly, born of a wealthy family who ran a photographic business and lived on fashionable Merrion Square in Dublin – where they probably knew the young Oscar Wilde, a close neighbour. William and Catherine were married in 1886 and were blessed by the arrival of Violet in October 1887. The Jessop family ended up in Mendoza, where William became stationmaster, then a 'fuel inspector,' but died of cancer in 1903 when aged only 41. Violet was aged just 15, and was stricken at his death. Mother and children packed up and returned to Europe, settling in England. Catherine Jessop remarried, becoming Mead. The 1911 census shows her living at 21 Shirley Road, Acton, with sons William (19), a university student, Francis (18) an auctioneer’s clerk, and John (17), a fitter’s mate in the motor trade. A fourth son, Patrick, (14), is still in school, as is daughter Eileen, nine. All the children were born in Buenos Aires, except for the youngest, who is ascribed to Mendoza. The eldest of these many siblings, Violet, is already away at sea. Five months from his snapshot, she will be involved in the Olympic’s collision with the Hawke in the Solent on September 20, 1911. She will be drawn thereafter to the Titanic – but also on the Olympic was steward John James Lewis. Indeed Lewis, now based in Southampton, would be on the sister ship at the time of the tragedy, and was friendly with many of those serving on the Titanic. After the war, when crew records improved, Lewis is seen serving as a steward on the Olympic, Kaiserin Auguste Victoria, Cedric, Olympic again, Imperator, Olympic once more, and Majestic. On occasions he was shipmate to stewardess Violet Jessop. They were both aboard the Majestic in 1923. When that vessel completed her tenth New York voyage of the year, she paid off her crew in Southampton on Thursday October 19, 1923. Jessop and Lewis went to London, where they would be married four days later. There was no engagement ring, but there would be a wedding band, suggesting theirs was a hastily embarked-upon match for reasons that remain unknown. Of course Violet had had a romantic interest before, as recorded in her memoirs, involving the vacillating young man named as ‘Ned,’ with whom she dallied in Australia. Violet’s aunt Elizabeth had emigrated to Melbourne around 1890, where she married a man named Bolger and ran boarding house. It was here that Violet’s granny (Catherine’s mother) died while on a visit in 1893. It was in Australia that Violet’s aunt Sadie met a man named Cecil Ridley, returning as his bride to England. It was Aunt Sadie and Uncle Cecil who welcomed the Jessops to England after their relocation from Argentina. And it was Uncle Cecil, ‘a person of the most charming, kindly manners and old-world courtliness’ in Violet’s memoir (‘our aunt had good taste in selecting him as a husband’), who would give her away in 1923, standing in for her deceased father. He is named as a witness on the marriage certificate. Canon Edmund Egan gave the final blessing and Violet and John James were wed. They parted after a year. ‘They just didn’t get on.’ says niece Mary Meehan. She believes Violet always carried a torch for Ned, the lost lad of her earlier years. There may have been a short honeymoon somewhere in Britain… but Violet Lewis and her new husband were both back on the Majestic before the middle of the following month. 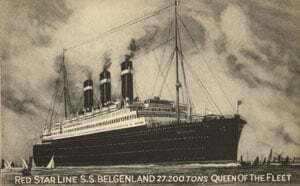 She would stay aboard for the next two years, but on October 24, 1925 went ashore at Southampton and would stay on dry land for the next seven months. It appears she was mourning her failed marriage. When she returned to the sea it was with a new company, Red Star, aboard the Belgenland. She had been 16 years with the White Star Line – with whom John James Lewis would carry on. Lewis had his own close Titanic connections. Sign-on sheets show him sandwiched between Titanic survivors Alfred Crawford and Andrew Cunningham as a bedroom steward aboard the Olympic, but he seems to have been particularly friendly with Titanic survivor James Witter, with whom he is often paired in sign-on lists. John James Lewis predeceased Violet, at age 82, in 1959. 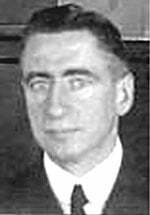 He was still alive (if living in a different country) in April 1958 when the former stewardess briefly left her chickens for a dinner at a London hotel to mark the 46th anniversary of the sinking of the Titanic. She joined Lawrence Beesley, Marjorie (Collyer) Dutton, and Gus Cohen at table, the quartet brought together as a result of the filming of A Night to Remember. Violet is seen to the extreme right in this most unusual celebration. She clutches a glass of wine – as she probably did back in 1923 at the wedding breakfast on her particular Day to Forget. The marriage that was excised from her memoirs is now restored to the record.